The sawing centre RASACUT XXL was developed espeically for dividing tubes and solid materials up to 170 mm. With that you achieve a reduction in sawing time by up to 90% compared to modern bandsaws along with improved quality of cut surface in terms of both angle and surface roughness. The single-cut saw guarantees high output with optimal part and cut surface quality as well as precisely weighted cuts with 100 percent control optional. RASACUT XXL is optimally suited for use in the automotive, forging and steel trade industries. 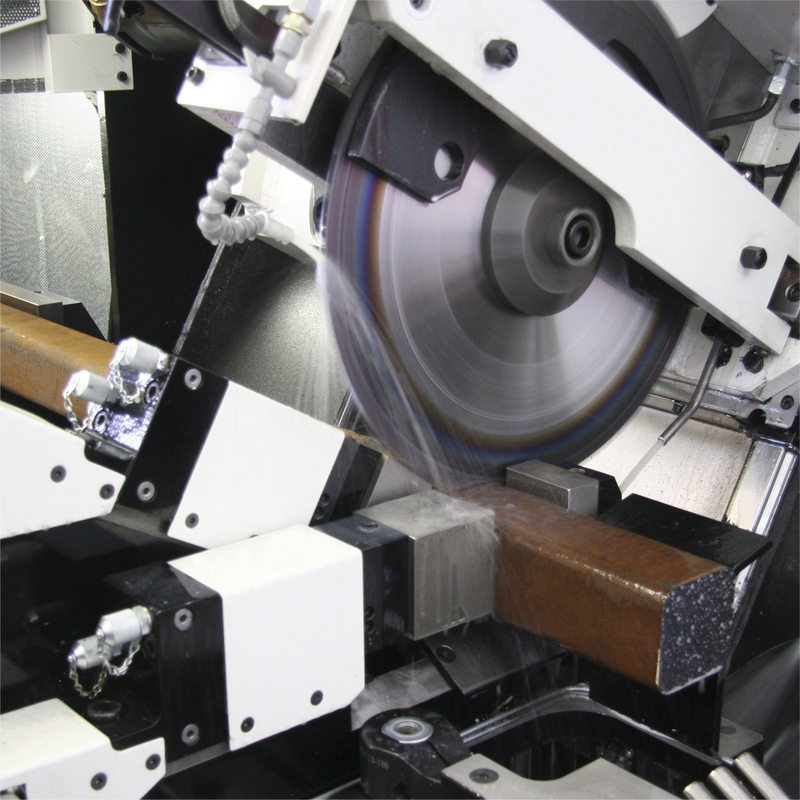 Cutting time reduced by up to 90% compared to bandsaws. [Cutting Speed: continuous] 30 to 200 m/min.